How to earn from solar panels just sitting at home? In the last few years, we have been looking at various sources of generating energy. There are lots of people who talk about solar, wind and some about the geothermal and wave energy. It’s fascinating to see how we are using the resources readily available in our surroundings and converting it into energy. This wasn’t easy 2 decades ago when we were still relying on coal and oil for electricity generation. What is it that motivated people to innovate here? The obvious reasons could be the climate surrounding us, the depletion of coal and oil, the pollution emitted from the generation of these resources. Now let’s zero in on solar energy. Solar energy works by capturing sun’s energy and converted to electricity for your home and business. Our sun is a natural nuclear reactor which releases tiny packets of energy called photons, which travel the 93 million miles from the sun to Earth in about 8.5 minutes. And how do they capture these? It’s through the photovoltaic cells. There is also a study which says that if all the photons that impact our planet are captured for just 1 hour, it could satisfy the global energy needs for an entire year. Currently, the technologies are being developed to improve the way panels capture this photon and convert it into electricity. With the electricity generated, we store them in batteries to use the power during nights and power blackouts (which rarely occur). This indirect way could save your money in paying electricity bills. But, how do we earn from the installation of solar panels? A stand-alone off-grid solar system is the one which we discussed above where storage happens through batteries. 2 . Grid-connected solar systems: As the name suggests, your solar panels are connected to the local grid. In this system, our appliances consume electricity from solar as long as it is sufficiently available. Any deficit in power is taken care of the main supply. How is the power generated measured? The power generated from grid system is measured through net metering. 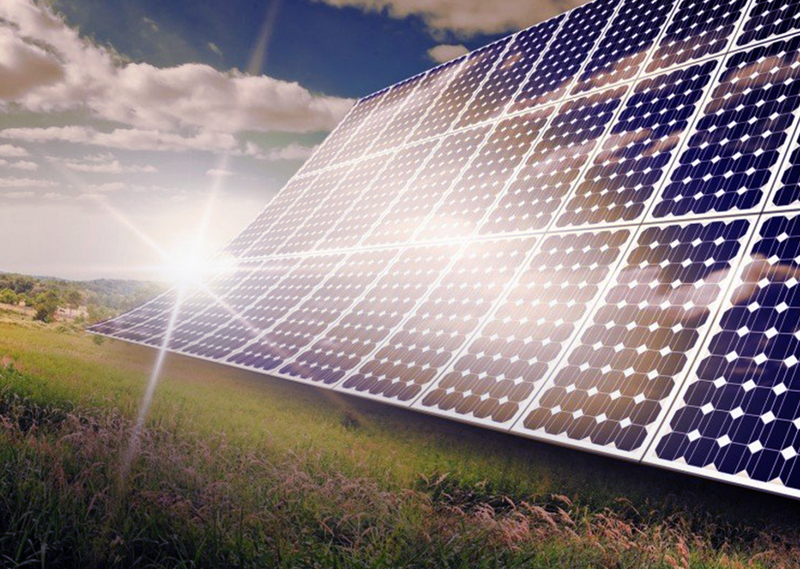 Net metering is an agreement which allows us to sell excess solar energy generated to the utility company or buy deficit energy from the utility company using a meter to track this energy exchange. Case 1: If at any moment of time, if solar energy generation (kWh) is less than the load requirement at that time, the difference of energy is taken from the main grid and the meter runs forward, as usual. In this case, the system owner is charged for the units (kWh) consumed from the main grid. Eg. During early morning or late evening/night. Case 2: If at any moment of time, if solar energy generation (kWh) is more than the load requirement at that time, the excess solar energy is fed back to the main grid and the meter now runs backwards. In this case, the system owner gets credit for the units (kWh) fed back to the main grid. Eg. During peak sunshine hours (afternoon). Case 2 is the place where we, as solar panel owners can earn money. Having known this, what other advantages do we have by connecting to such a system? Usage of batteries is avoided. This also reduces the cost of installation of the system and maintenance for batteries. You can produce more energy today which could be useful for the society. Say your daily consumption is 100 Watts. In summer, 120 watts is generated by your panels of which 20 watts can be fed to the mains supply. In winter, if 80 watts are generated, you can pull 20 watts from the mains supply. As grid-connected solar panel system makes more sense, it’s wise to invest in such a system. Please do remember to ask your solar consultant for a grid system if you are installing solar panels at your home.